Why Men Feel the Need to be Right About Everything! In continuing with our weekly articles that offer a bit of insight into the strange minds of the opposite gender today we will be delving ..
One of the common questions we get asked about the Half Our Deen offline events is why is it necessary to have an online account with Half.. The importance of asking personal questions when looking to get married. A typical Muslim matrimonial website barely scratches the surface when it comes to details that are vital to showing who you are and what ..
More Half Our Deen Offline Coming Up! 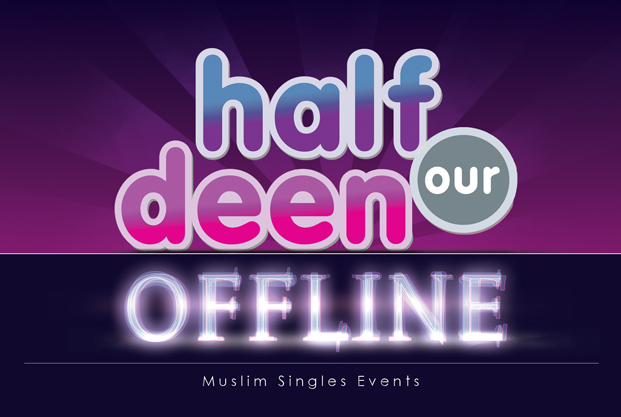 Along with running Halfourdeen.com we also strive to bring Half Our Deen Offline events to as many cities as we can. These events take all..
Getting married is a huge, life changing, event. We can spend years searching for the perfect person to be our other half. And for some of..
Another Successful Half Our Deen Offline Event! The latest Half Our Deen Offline event was held a couple weeks ago in Santa Clara, California, on September 29th. By the grace of Allah ..
One of the common concerns that we have received is “I send out a bunch of messages but no one responds. What am I doing wrong? !” One user..
One of the most powerful duaas that we have been given as Muslims is also one that we often overlook; The Duaa of Istikhara. What exactly ..
A Facebook comment that made our day, Alhamdulillah! Check out the screenshot of Baba Ali’s Facebook page. This is what keeps us working hard everyday, Alhamdulillah. You’ve spent months searching for your special someone. Now that you’ve finally found them you promise yourself that you will cherish the ..